Last year we launched the Miami Jack-o-Lantern T-Shirt with great success. 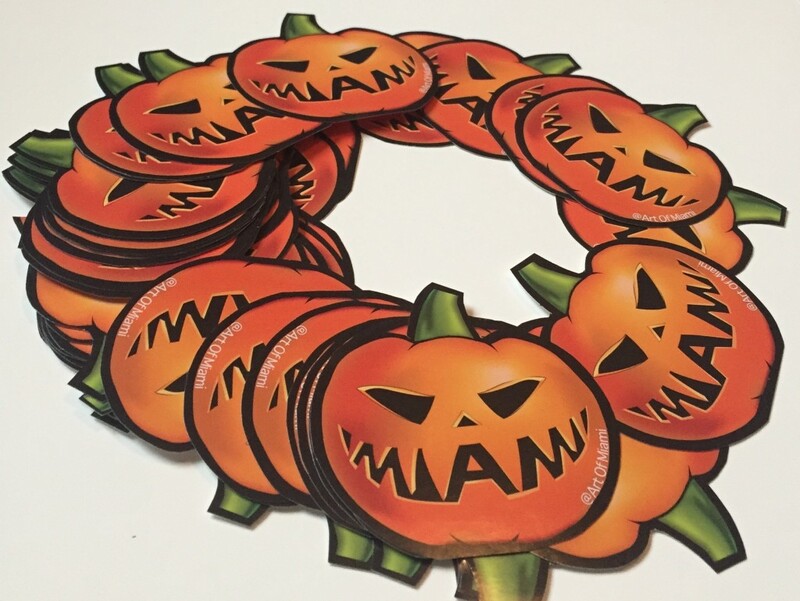 This year the Miami Halloween design will also be available in stickers. Our proud, exclusive and trademarked Miami only design is a way to represent the Fall season like no other city can. Stickers are also perfect to customize letter, packages, tees, notebooks and other accessories.